One of the benefits of having a neutral debate moderator without an ax to grind or an uncomfortable obsession with specific candidates is the ability to talk about substantive and important issues. Last night, the Frederick County Republicans came together to put on an amazing debate. A Miner Detail was the only blog there to cover the events. One of these substantive questions brought up by the moderator was concerning Edward Snowden. Was he a criminal or whistleblower? Commentary: The Snowden leaks are a complicated issue. Just like the Apple v. FBI question I wrote about earlier, you have to understand a few things before taking a position. But I will tell you up front, Chris Mason is 100% correct on this issue. The rest of the candidates are misinformed. What did the Snowden leak prove the NSA was doing? Among other things, like implanting malware into network hardware and hacking the connection between data centers hosted by private American companies, the documents leaked by Edward Snowden proved that the NSA was actively spying on American citizens, using the FISA (Foreign Intelligence Surveillence Act) Court to obtain blanket warrants from companies for phone metadata records. There’s a few problems here. First off, why was the NSA using a “foreign” surveillance court for warrants? Because they wanted to ensure the American public did not know about the warrants and avoid the pesky concept of “due process.” Second, why was the NSA refusing to put a name on the warrants, instead putting “Verizon” on them? Because the NSA wanted to spy on Americans, not foreign adversaries. Corporations are not people, they cannot be named on a warrant. No. No way he could of done that. Here’s a dirty little secret of working in the Federal Government. When you are a government employee, you have the ability to receive whistleblower protection. When you are a government contractor, you do NOT have any mechanism to claim whistleblower protection. You are expendable. Just go drive by the NSA some time. I’d like to direct your attention to the large office park (National Business Park) on the western side of the Baltimore-Washington Parkway, northern side of Route 32. Name a member of the military-industrial complex, and you will see their massive office building there, with a special dedicated entrance to go onto the NSA campus. Many (exact number is classified) contractors work within our intelligence apparatus and none of them have any venue to blow the whistle on fraud, waste, abuse, or illegal activity. 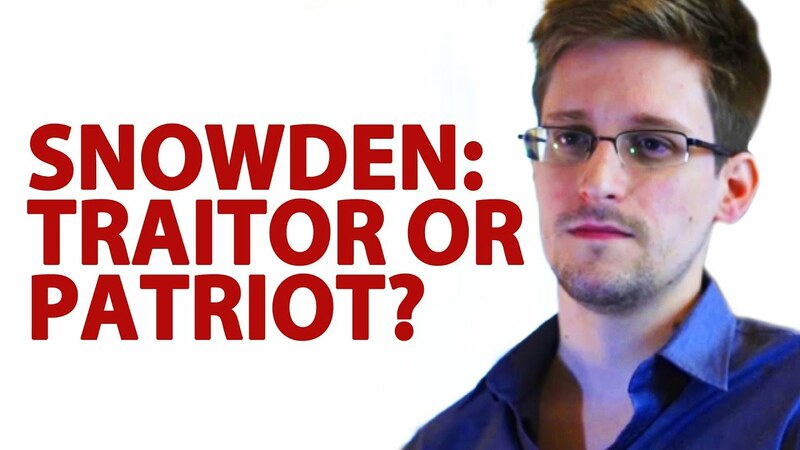 Did Edward Snowden try to go through proper channels for whistleblower protection? Yes. Yes he did. However, consider the location which he tried to blow the whistle. They have a convenient excuse to cover up any complaints filed by Snowden, it’s called “classified.” The NSA claims that no complaints were filed, but can we really trust an agency that has no public accountability, oversight from politicians whose campaigns are funded by Military-Industrial Complex $$$$? I wholeheartedly believe there is no reason to trust their claim about the complaints. Unfortunately, we will not know the truth about the Snowden leaks for at least 25 years. Probably more, because they will come up with an excuse to keep the information classified. This is the same agency that still maintains classification on intelligence methods from the Vietnam War, none of which are in use today. Could Edward Snowden have gone about it in a better way? Definitely. He should have released the documents and surrendered himself to the FBI, in front of cameras from every news outlet. I do agree with the criticism that he is a coward, he should have stood trial and let a jury of his peers decide his fate. In public.